Hunt Valley, Md. and Yorktown Heights, NY, USA - February 04, 2019 - McCormick & Company, Incorporated (NYSE: MKC), a global leader in flavor, and IBM (NYSE: IBM) today publicly announced their ongoing research collaboration to pioneer the application of artificial intelligence (AI) for flavor and food product development. Using IBM Research AI for Product Composition, McCormick is ushering in a new era of flavor innovation and changing the course of the industry. 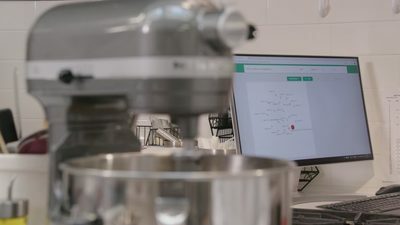 McCormick & Company, Incorporated and IBM are working together to pioneer the application of artificial intelligence (AI) for flavor and food product development. McCormick products developed with AI technology from IBM Research will hit the market by mid-2019. McCormick & Company, Incorporated (NYSE: MKC), a global leader in flavor, and IBM (NYSE: IBM) today publicly announced their ongoing research collaboration to pioneer the application of artificial intelligence (AI) for flavor and food product development. Using IBM Research AI for Product Composition, McCormick is ushering in a new era of flavor innovation and changing the course of the industry. Product developers across McCormick’s global workforce will be able to explore flavor territories more quickly and efficiently using AI to learn and predict new flavor combinations from hundreds of millions of data points across the areas of sensory science, consumer preference and flavor palettes. This proprietary, cutting-edge technology sets McCormick apart in its ability to develop more creative, better tasting products and new flavor experiences across both its Consumer and Flavor Solutions business units. AI has enabled McCormick’s product developers access to an expanded portfolio of flavor profiles that enhances their creativity. The new ONE platform was specifically developed to deliver family-favorite flavors with the ability to season both the protein and vegetable. 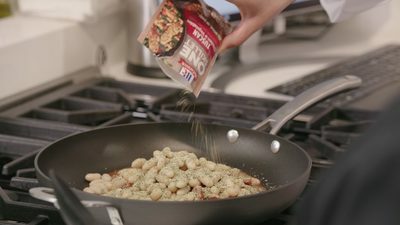 The new seasoning blends expect to be on U.S. retail shelves by late spring. “McCormick’s use of artificial intelligence highlights our commitment to insight-driven innovation and the application of the most forward-looking technologies to continually enhance our products and bring new flavors to market,” said McCormick Chairman, President and CEO Lawrence Kurzius. Flavor experience creation is a challenging domain. The science of how humans experience flavor is not well understood. It’s a combination of at least three senses: smell, taste and appearance. Screen shot of technology based on IBM Research AI for Product Composition used by McCormick & Company for flavor development. "IBM Research's collaboration with McCormick illustrates our commitment to helping our clients and partners drive innovation across industries," said Kathryn Guarini, VP, Industry Research, IBM. "By combining McCormick's deep data and expertise in science and taste, with IBM's AI capabilities, we are working together to unlock the bounds of creativity and transform the food and flavor development process." Pairing McCormick’s global expertise, particularly that of its research and product development teams, with leading AI research helped McCormick accelerate the speed of flavor innovation by up to three times and deliver highly effective, consumer-preferred formulas. Through the ONE platform as well as several other projects in the pipeline, McCormick’s product developers are now using AI to unlock creativity, access new insights and share data with their peers around the world. McCormick & Company, Incorporated is a global leader in flavor. With $5.4 billion in annual sales, the company manufactures, markets and distributes spices, seasoning mixes, condiments and other flavorful products to the entire food industry – retail outlets, food manufacturers and foodservice businesses. Every day, no matter where or what you eat, you can enjoy food flavored by McCormick. For more than seven decades, IBM Research has defined the future of information technology with more than 3,000 researchers in 12 labs located across six continents. Scientists from IBM Research have produced six Nobel Laureates, 10 U.S. National Medals of Technology, five U.S. National Medals of Science, six Turing Awards, 19 inductees in the National Academy of Sciences and 20 inductees into the U.S. National Inventors Hall of Fame.